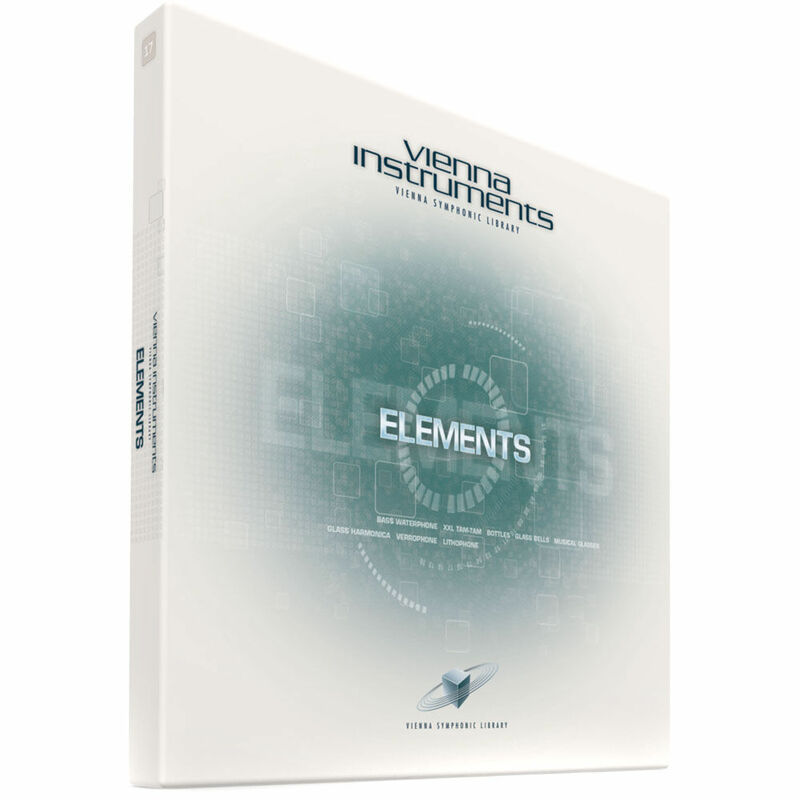 Elements Upgrade to Full Library from the Vienna Symphonic Library provides additional articulations and samples for the Elements virtual instrument Standard Library (required), with the complete sample-based virtual instrument delivering unique sounds that can be used for original sound production. This collection is a sequel to the Horizon Series Library "Glass and Stones" and can be sub-titled as "Water, Metal, Glass and Stone." With a diameter of fourteen inches, the bass waterphone used for this collection was considerably larger than the one used in the original Vienna Symphonic Library's percussion editions. An extra-large tam-tam, with a diameter of more than sixty-five inches, was struck with metal rods, cardboard, jigsaw blades and rubbed with chains, amongst other techniques. The bottles in the collection were blown with articulations such as sustains and flutter tonguing. 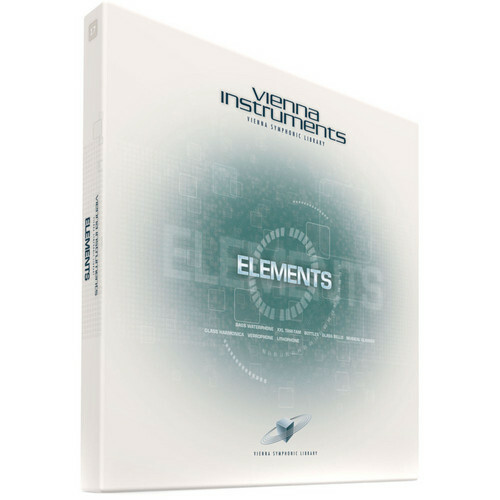 The Vienna Instruments user interface is clearly arranged and includes pre-configured patches for immediate playability with no learning curve. The interface uses a powerful proprietary streaming audio engine that can load up to 3,456 articulations (patches) on one MIDI channel. Load times are extremely low and sixty-four stereo voices per instance can stream from the hard disc. A RAM optimizing utility clears unused samples out of RAM. Users can easily create their own instruments, using "drag and drop" functionality, and the instrument provides the ability for velocity crossfades and release control to be switched on or off in real time. Note: This is a license that unlocks the Upgrade (Extended) Library content already included with the purchase of the Standard Library.